If you are usually accessing from http://x.x.x.x then modified to http://x.x.x.x/logout.htm this will work fine as long as your computer IP address are the same as the last successful login computer. If this doesn’t work because you have different IP address then you have to find the last successful login IP address as described in this post and video. From http://forums.apc.com/thread/3263 you can use telnet programs such as PuTTY or terminal to log in to the device and log out. This work if you have telnet port open (port 23 or 22), if not you have to telnet directly to UPS serial port. This is only required if your IP address different from the last successful login user. If the same IP address uses no 1 above. All our client computers are DHCP client means it sometimes got a different IP address from the server. If we forgot to log out after using APC web management server then the error Someone is currently logged into the APC Management Web Server will arise and we cannot just add logout.htm at the end of UPS address as in step no 1 because the IP address is different. Below are steps how we can overcome this problem. This should work if FTP port opened and it does on my UPS. Look for the IP address from last successful logged in. After that, you should able to log in. If you are still unsure how to do this, I made this video for you. Change the IP address to be the same as in the event.txt record. If you have physical access to the UPS you can press the reset button on network management card. This card usually located on the rear panel of UPS. This is the most simple solution to the error message: Someone is currently logged into the APC Management Web Server. However, this method requires access to APC UPS physical device. Please see below picture to find the exact location of the button. 5. Still having a problem? 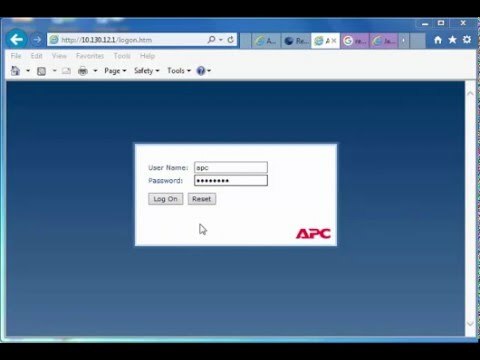 We use an APC management web server to check current UPS status, voltage, battery etc. The most important for us is to configure alert if the room temperatures go beyond the limit. It means something happens with an air conditioner that can cause servers down/broken because of overheat. I configure the setting so that anytime temperature rise above the limit in the server room because of the problem with air conditioner, maintenance team and IT team are the ones who got alert and we try to fix before something bad happen with servers and other IT equipment in that room. This is a very important feature for us and we glad it worked perfectly. 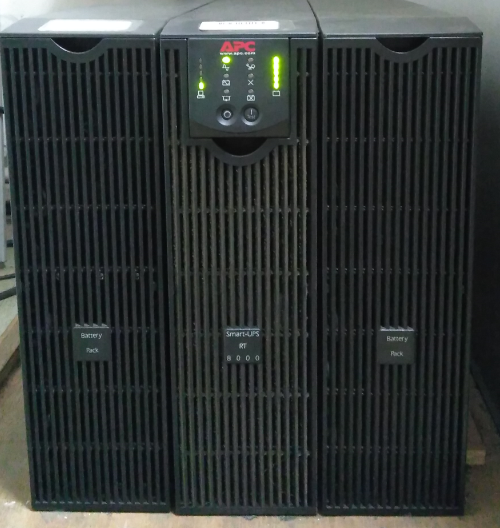 Oh yes by the way our APC UPS model is: SMART RT8000. If you can't do the above for any reason telnet to the UPS's IP and use the 'user' command on the account you need to set the session timeout parameter. You can set it to 1 minute and then all sessions of that user will be automatically disconnected after 1 minute. The session parameter can be -t or -st depending on UPS version but CLI help will show you the correct one.